It is nice, but look like deserted. In this season is very hot and a lot of animal are trying to hide. 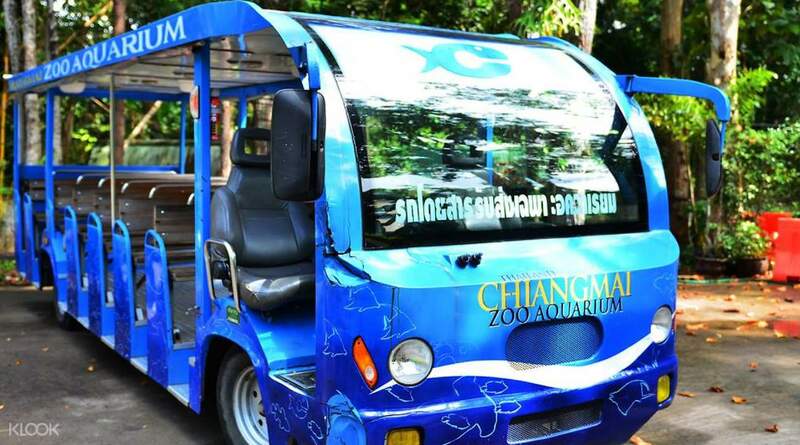 See the true marvels of the animal world with a visit to the Chiang Mai Zoo & Aquarium. With this day pass, you can choose from three wonderful experiences that will suit your preference. You can go and see zoo animals such as elephants, zebras, or pandas while riding the tram around the zoo. 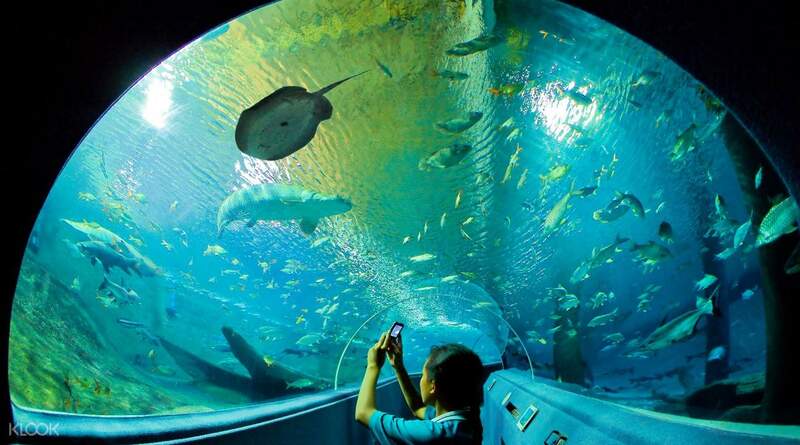 Or perhaps see hundreds of species of freshwater and tropical fish in the 133 meter long aquarium tunnel where you'll feel like you are walking under the sea. There are a number of fun scheduled activities for you to enjoy too, including Shark and Ray Feeding Show, the Bird Show, and Nozzle Stingray Feeding Activity to name a few. 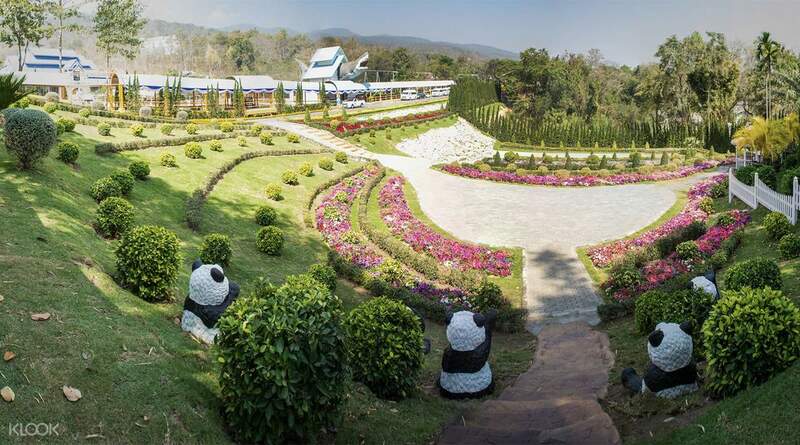 Spend a day exploring this award winning zoo — a great family activity in Chiang Mai. Had more fun than expected. The process going in and around the zoo was very seamless. The package with Trams is very worth it of you don’t want to walk the whole zoo. Some of the animals (like the orangutan, white lion, porcupine) weren’t seen because they were hiding. I guess our timing was nit so good. Had fun watching the animal show as well. Generally the tour went better than expected. Had more fun than expected. The process going in and around the zoo was very seamless. The package with Trams is very worth it of you don’t want to walk the whole zoo. Some of the animals (like the orangutan, white lion, porcupine) weren’t seen because they were hiding. I guess our timing was nit so good. Had fun watching the animal show as well. Generally the tour went better than expected. The Chiang Mai zoo and aquarium was a good experience with pandas exhibit. The process was quick and easy with Klook. The package was worthy. The Chiang Mai zoo and aquarium was a good experience with pandas exhibit. The process was quick and easy with Klook. The package was worthy. So excited to see panda! 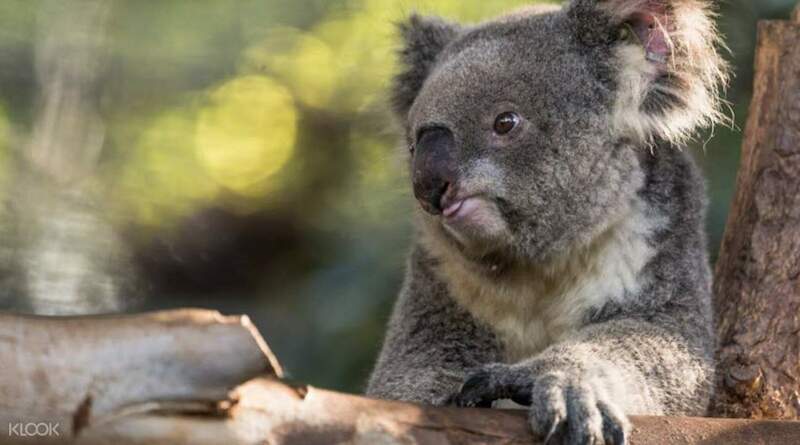 Also the koala. The animal show was fun and the tram service was good. Hope to come back soon. So excited to see panda! Also the koala. The animal show was fun and the tram service was good. Hope to come back soon. Did not see many trams, but we also paid for our own vechicle, so maybe they only send a tram with people who get on at the gate. A lot of construction and empty enclosures. Loved being able to feed hippos, giraffes, and an elephant. Panda watching made the entire trip. Did not see many trams, but we also paid for our own vechicle, so maybe they only send a tram with people who get on at the gate. A lot of construction and empty enclosures. Loved being able to feed hippos, giraffes, and an elephant. Panda watching made the entire trip. When we arrive there, the counter change our voucher to ticket and give money to pay the tram. The zoo quite big & clean. i only bought ticket to enter the panda & use the tram. the panda only got 1 on the day i came. we didn't manage to see any shows due to our time is limited and my kids can't stand the hot weather. When we arrive there, the counter change our voucher to ticket and give money to pay the tram. The zoo quite big & clean. i only bought ticket to enter the panda & use the tram. the panda only got 1 on the day i came. we didn't manage to see any shows due to our time is limited and my kids can't stand the hot weather. It was very simple, we just showed our mobile booking and they gave us ticket. It’s quite big and you can stop at various stops and every 15mins there is tram. You can actually spend whole day. Remember there is water park there and you can carry swimming costume. It’s very cheap. My kids like fish feeding, it’s not included in package but just 20bath. My 10 years old daughter liked snow dome, it’s not in package, good slide experience. Overall it was good experience just that bit hot. The staff is very helpful, we couldn’t find animal show and he walked up and showed us, my younger one threw her slippers from tram，driver stopped and allowed us to take it. It was very simple, we just showed our mobile booking and they gave us ticket. It’s quite big and you can stop at various stops and every 15mins there is tram. You can actually spend whole day. Remember there is water park there and you can carry swimming costume. It’s very cheap. My kids like fish feeding, it’s not included in package but just 20bath. My 10 years old daughter liked snow dome, it’s not in package, good slide experience. Overall it was good experience just that bit hot. The staff is very helpful, we couldn’t find animal show and he walked up and showed us, my younger one threw her slippers from tram，driver stopped and allowed us to take it. Such a nice experience. it was worth the buy. There were some portions that were closed due to maintenance, but it was generally okay. Prepare to walk walk walk. Such a nice experience. it was worth the buy. There were some portions that were closed due to maintenance, but it was generally okay. Prepare to walk walk walk.